Hey, everyone! I wanted to do something different and make a haul post for the first time. 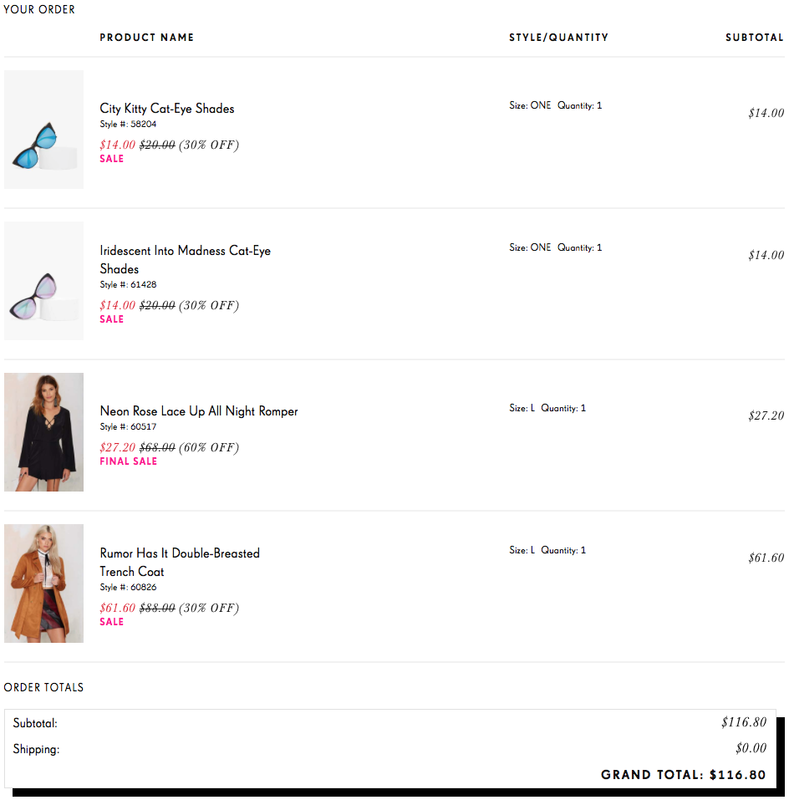 I figured I'd do one since this is my first time ever ordering anything from Nasty Gal and I'm so excited about the items I purchased. The main reasons why I never ordered from there is because I just got my first job a little over a month ago and your Christmas money can only get you so far on this site. I was actually going through F21 and H&M looking for some items and I noticed there were a lot of products that had a Nasty Gal vibe (ie. lace up everything). So I finally decided to just give it a try. First, I went through the sale section and added things to my wish list and shopping bag. Then I went through the general, non-sale sections (clothing, shoes, accessories) and added more to my wish list. I eventually paired down from an initial 10 items almost reaching $1000 to just these 4 (all on sale) costing a little over $100.